The real-life historical figure of Elizabeth Murray serves as the novels central protagonist; Countess Dysart and Duchess of Lauderdale, she inhabited Ham House, a Jacobean mansion built on the River Thames at Petersham. Throughout the reigns of Charles I, Charles II, James II, William and Mary, she became deeply embroiled in the politics of the Civil War. Wielding a great deal of influence due to her elevated position, and partaking in her fair share of adventure, she found herself right at the heart of the action. It is into this, which we are thrust, as Anita Seymour takes us on a breathtaking ride through the landscape of a divided England. 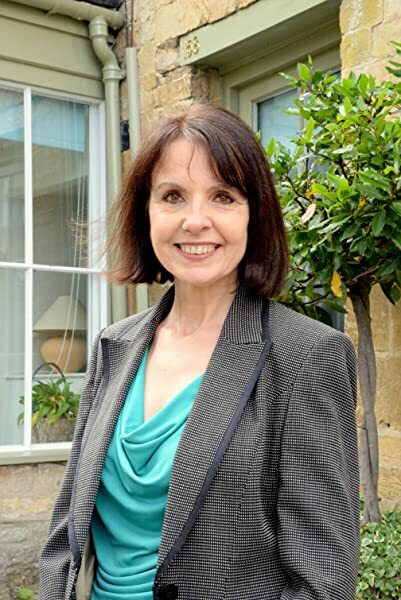 Anita was born in London, a city with a strong sense of times past, which she connected with at an early age. Her work within the genre of Historical Fiction is borne out of that enthusiasm. Anita is the author of four previously published works, 'Duking Days Rebellion' (2007) and 'Duking Days Revolution' (2008) and two Victorian Romances, 'Trencarrow Secret' and 'Culloden Spirit' (2011). Elizabeth is an extraordinary character---"a piece of work" in modern parlance, who learns how to manipulate others for her own ends. She is an intrepid force to be reckoned with. But the reader is charmed by her magnetism. The depiction of her mother, Catharine Bruce Murray, is also a living portrait, who in spite of many privations---insults even--- from local Parliamentarian officials, is a firm steadfast Royalist and a devoted mother. All the characters in "Royalist Rebel" are well rounded and credible. The sojourn in Oxford in 1643 at the King's makeshift court is particularly well described. The reader, with Elizabeth and her sisters, would have thought that even in Oxford, the court would be a glittering splendid pageant, but the reality was otherwise. Courtiers, the loyal Cavaliers, including William Murray, Elizabeth's father, present a shabby appearance, wearing worn and dirty clothes, and are beginning to fear Parliament's aspirations. The mood is brittle and apprehensive, the future of the King's followers uncertain. "Royalist Rebel" is in that half way genre, between novel and biography, a medium used to excellent effect by Alison Weir and Philippa Gregory, and in this instance by Anita Seymour. 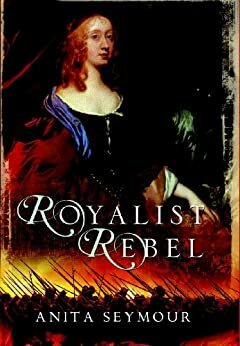 "Don't let the facts spoil a good story"---past advice for cub reporters---but historical events interweave seamlessly and accurately in "Royalist Rebel". The excellent story-line holds the reader until the last page. It is difficult to assert where history ends and fiction begins. The English Civil War is a period which does not attract many historical novelists, as so many factions, beliefs and sects manipulate events. Nothing was clear-cut. Anita Seymour presents a captivating picture of this world from the point of view of one woman, which enables the plot to move forward to her heroine's ultimate goal, the lasting possession of Ham House. The characterisation, dialogue and scenic description all combine to cause the reader to turn the pages with great enjoyment. Novel or biography? Overall an excellent story! Although I am far from a fan of first-person narrative, I do love the period of the English Civil Wars. Therefore, I decided to lay aside the fact Royalist Rebel is written wholly from the viewpoint of Mistress Elizabeth Murray. I'm glad I did because Ms Seymour paints a vivid picture of life at Ham House. Given that Elizabeth's earlier (un-chronicled) life is the author's creation it blends well with known facts of the young woman's rise from relatively modest beginnings to that of wealth and title. It's a well-researched book in terms of the political scores and all credit to the author for a thoroughly enjoyable read. I like the way Elizabeth Murray's story begins with highlighting her present circumstances and the staunch allegiance of her parents to the Royalist cause. All the while her haughty manner and fundamental belief the enemy consist of nothing but filthy (smelly) Puritan folk (of low-birth) seems to imply Mistress Murray is indeed ignorant to the fact members of the aristocracy are fighting on both sides of the great divide. Nor does she seem cognisant to the fact that not all Parliamentarian soldiers are of Puritan mindset. I confess there were times when I despised Elizabeth's conceited grandiose self image and her prejudiced outlook, but she's not a fictional character and I didn't have to like her to admire her unstinting desire to keep Ham House in the family. As time moves on and Ham House is under threat of seizure by the Parliamentarian Sequestration Committee, (a method of punishing supporters or suspected collaborators of the Royalist cause), Elizabeth resists at every given turn, though is often forced to capitulate when events and circumstances are beyond her control. But, if something is wanted badly enough, then feminine guile to deceive Cromwell and feminine wile to gain a titled husband is worth the risk in the overall scheme of bettering her position within society and gaining a long for coveted title. Despite being English, I don't know a huge amount about the Civil War period, only vague memories from some school lessons. Royalist Rebel brought the era vividly to life with danger and spies at every turn! What I love about this author is her ability to capture the views and stances of the time. While the heroine, Elizabeth, may come across as snobby and stubborn to some, she was an accurate portrayal of a woman of her class and a character who had to endure so much (personally I loved Elizabeth - always like a flawed character). Clearly a lot of research has gone into this book and, as a newbie to the era, I found most of the political stuff useful (although at times I was a bit dizzy trying to keep up with all the names). However, die-hard Stuart fans may not like those bits as much. I enjoyed this book in the sense of it being a record of a woman from the era of the English Civil War and the Commonwealth. I was sorry that the book ended where it did and that there was no more 'story', other than an epilogue to bring all the threads of the story together. It is an thoughtful read if you are interested in women's history and that particular era of history. As always Anita Seymour delivers the goods, excellently written. I would recommend her books to all generations not just to fiction history buffs. Royalist Rebel kept me stuck to the sofa. I very much enjoyed the way Ms. Seymour took a haughty young, aristocratic girl and gradually makes the reader warm to her as we watch her mature through her Civil War experiences, and her all-consuming passion to hang onto her birthright. She reminds us that the Civil War was an era when so many brave women had to step up to the line and (often literally) defend their homes and families. I also loved the way Ms. Seymour’s writing took me back in time to revisit familiar places through seventeenth century eyes. Definitely recommended.